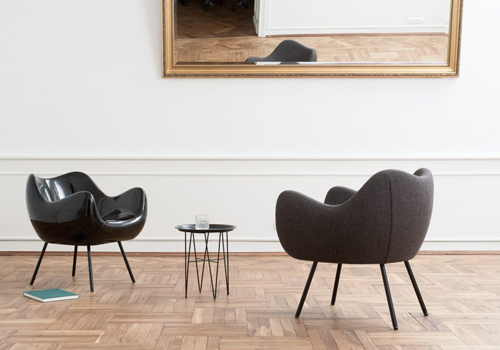 First impressions are crucial when it comes to holding a meeting with clients or colleagues. It is important to make a good statement when meeting a client for the first time. 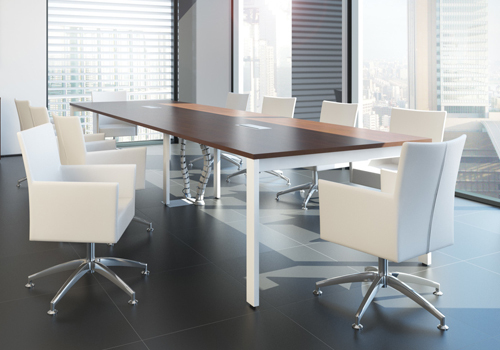 Your boardroom furniture should be of high-quality standards, especially your meeting room chairs because your clients will more than likely be sitting on this and so it should offer the highest level of comfort and support to make the best impression as possible. 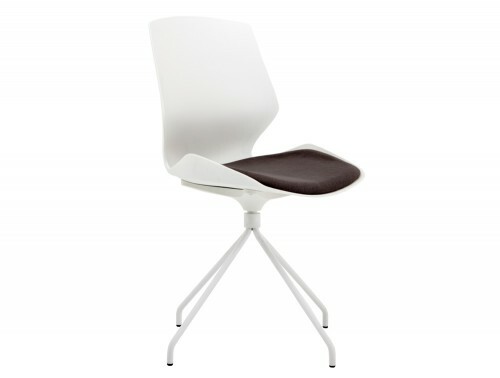 Radius Office Furniture offers an array of visitor chairs with modern and stylish designs to complement your office. 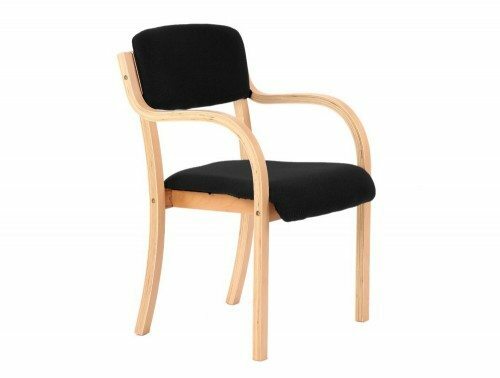 Our selection of conference chairs comes in a wide variety of upholstering’s to suit your preference. You are spoiled with the choices of mesh back finishing’s, fabric seating in evert, leather or faux leather in either black or tanned colours. The fabric textile is offered in many colours from vibrant red, orange or green to more relaxed colours like black, grey or brown to match your office style. Furthermore, you have a choice of picking a conference chair with built-in armrests or no armrests to suit your preference. 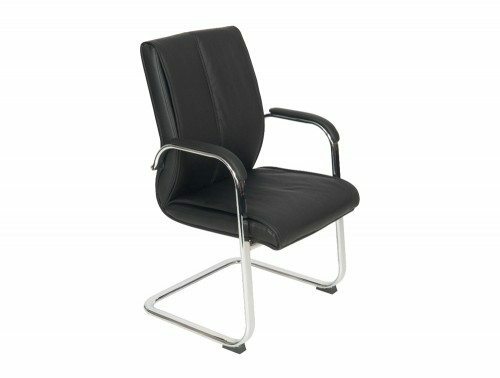 The office meeting chair frames come in a variety of choices, from wooden finish to chrome detailing either in black or silver. 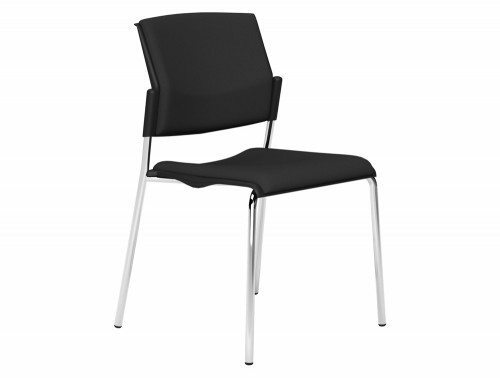 Our stackable chairs are perfect for offices who are looking to make the most out of their meeting room space. The stackable feature allows for the chairs to be piled on top of each other neatly, making it highly convenient for saving space and storage purposes. 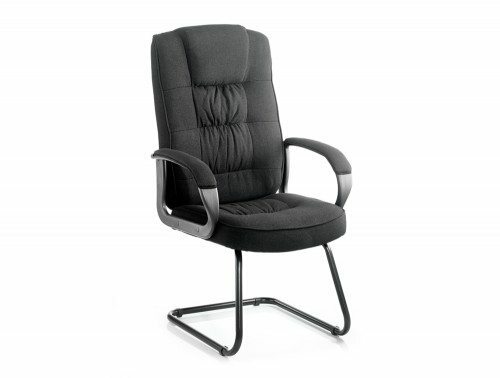 Our online mega furniture store also offers a collection of ergonomically designed boardroom chairs which offers the highest level of comfort and support for the user whilst boasting a modern and stylish design. Ergonomic chairs not only ensure the highest level of comfort for the user, it also has been proven to boost productivity and efficiency. 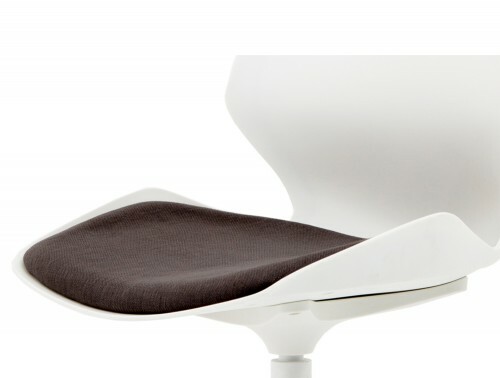 Ergonomic features in the chair include adjustable armrests with soft padded arms for extensive support and comfort. 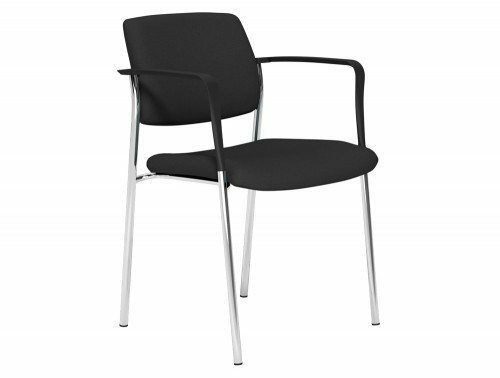 An extremely important feature in our ergonomic conference chair range is the lumbar support. Proven to help those who suffer from back related problems, this feature ensures the user is properly supported whilst working and provide additional contouring around the lower back area. Meetings are a fundamental part of any business and can more than likely be unavoidable. Make the best first impression to any client by having a professional, modern and most importantly comfortable meeting room. 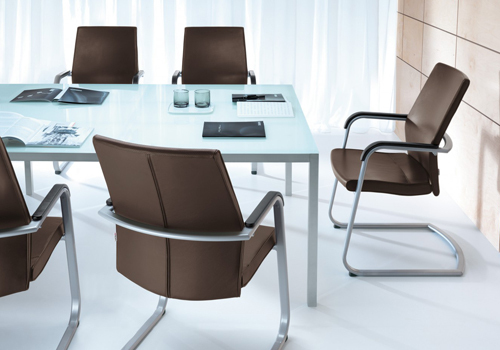 Choosing the right meeting chairs for your boardroom has never been easier. 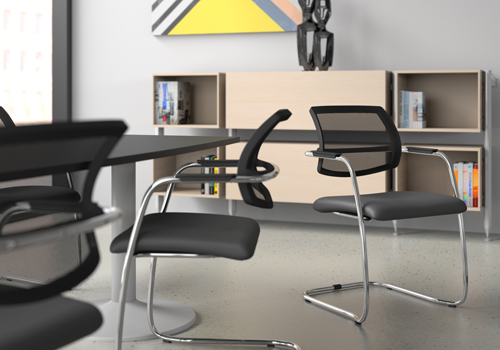 Here at Radius Office Furniture, we offer a large selection of conference seating with a guaranteed level of optimum comfort as well as durability. 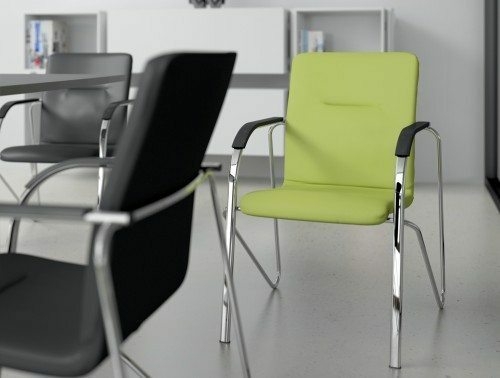 We offer one of the most popular meetings & visitor chair design across the business world. The cantilever design is highly popular because of its simple yet iconic design that is built to last and has the added benefit of being anti-tilt, making it highly desirable. 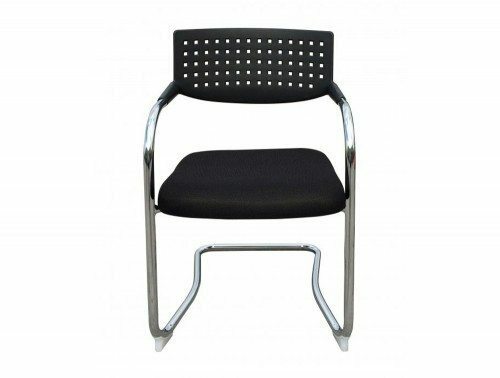 For an even more enhanced comfortable sitting experience, our E-commerce store has an array of stackable meeting chairs with a mesh textile back support or a plastic exterior. 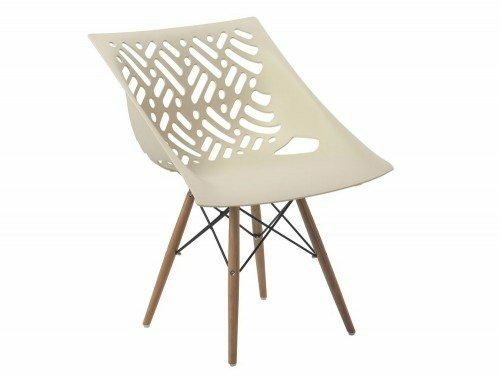 The increasingly popular mesh material for chairs has a numerous number of features and benefits in its arsenal. 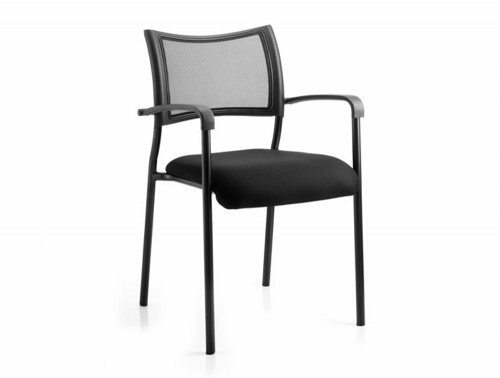 The visitor chairs with a mesh breathable back is perfect for keeping clients cool in warm conditions. 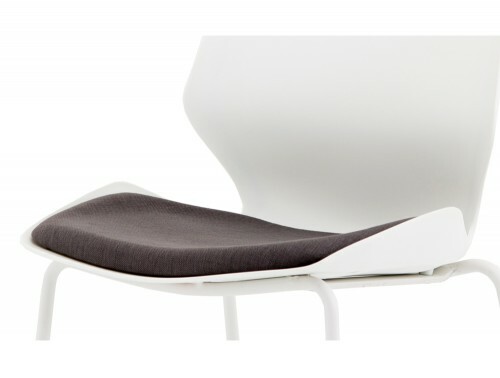 The absence of thick back padding allows for the mesh fabric to mould and contour perfectly along the users back providing extensive support and an enormous amount of comfort. To further provide a pleasant sitting experience, our mesh back meeting room chairs are complemented with deeply contoured seat foams. 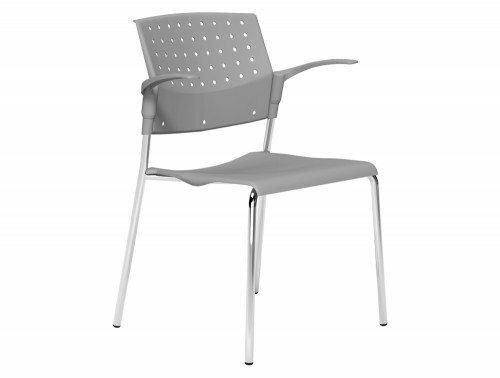 A range of our mesh back visitor chairs comes in both swivel and cantilever designs and are also available in adjustable, fixed or no armrests. 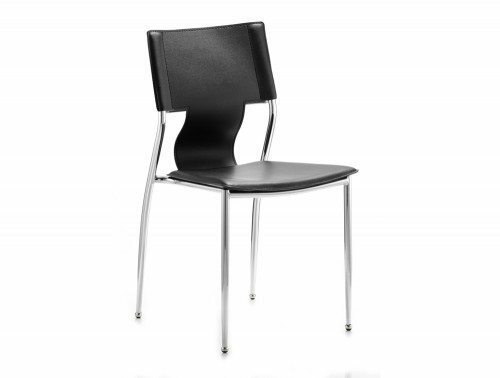 The plastic stacking chairs are great for conferences as they are lightweight and easy to store away. 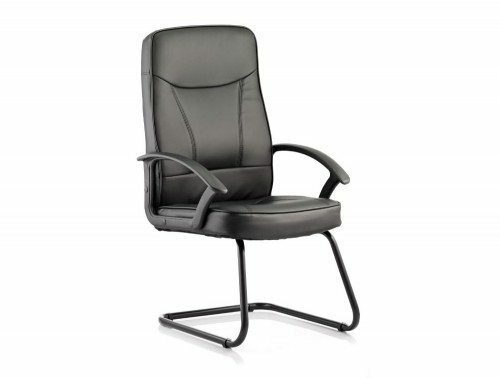 If you’re looking for an office boardroom chair that represents the highest level of elegance and style, then look no further. 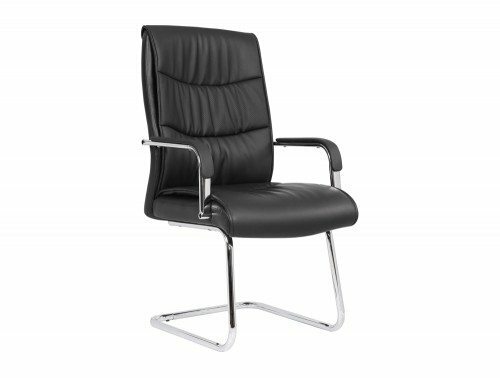 We have a selection of executive meeting chairs which offers premium features & design to give you that distinct executive managerial look. 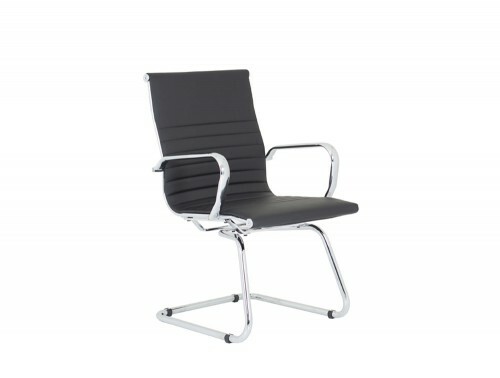 The boardroom chair is available in either high back or medium back with a chrome four-star aluminium base design. 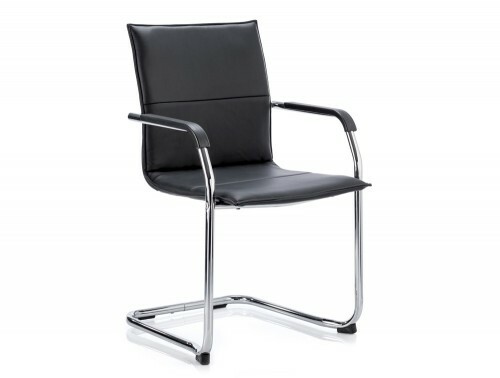 Other base designs are also available such a swivel based with castor wheels or fixed base chairs. 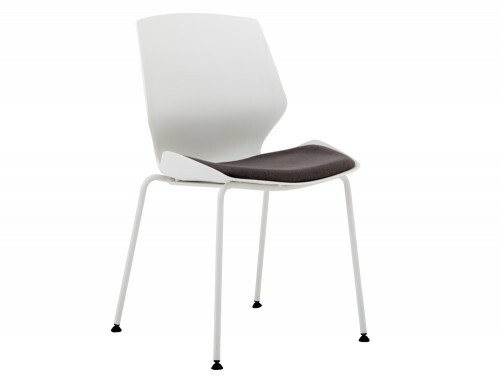 The upholstery of the chair is available in a wide range of fabric and leather colours. 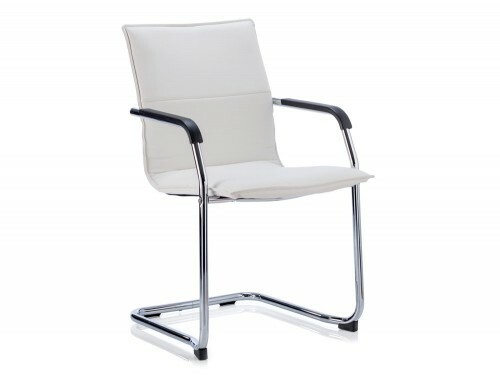 With an executive conference room chair like this, you are sure to impress your clients. 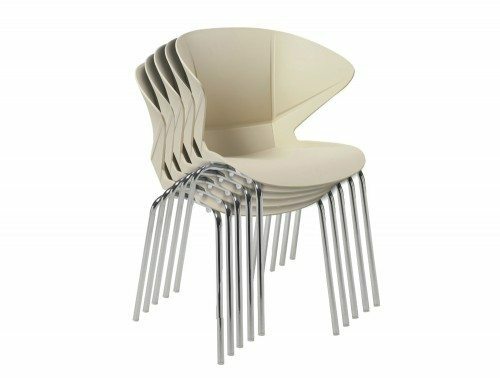 We offer a significant amount of meeting room chairs in our catalogue so you can be sure to find the right conference chairs within your price budget. We have a range of affordable stackable chairs for those looking for a simpler but non-the less durable design. 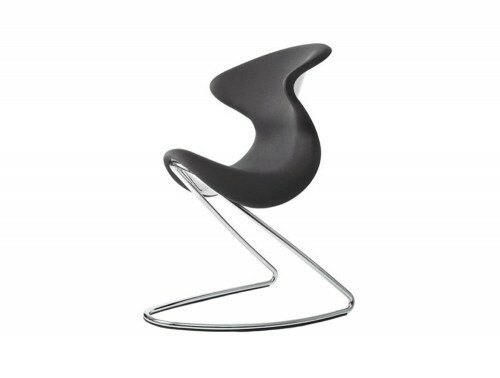 For an even more affordable option we have a large selection of used chairs. 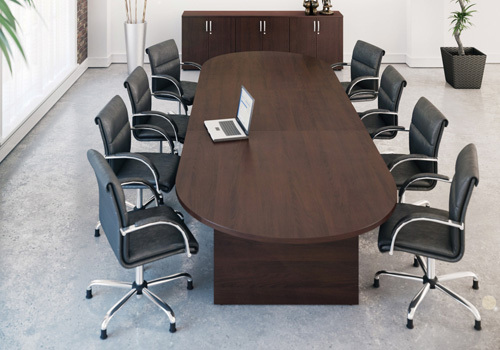 Alongside this, we also offer high-end boardroom chairs with extra features and detailing to truly impress your clients. 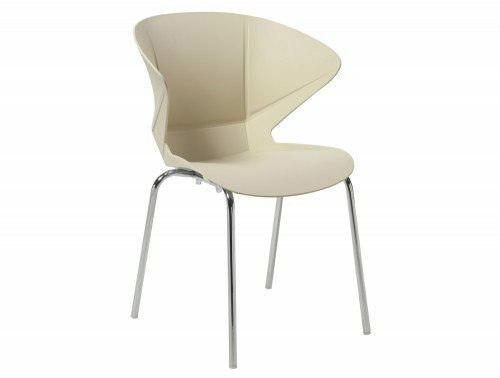 Whether you are looking for a mesh back visitor chair, or a boardroom chair with leather finishing’s & chrome detailing or just a simple stackable chair with a colourful fabric upholstery, you can be sure to find it here. We source our office meeting chairs from some of Europe’s leading furniture manufacturers such as Profim, Trexus, Dynamo and Kleiber. 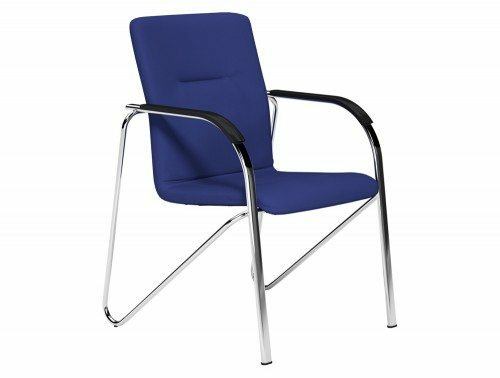 With these high-quality brands, we can guarantee you are getting the highest quality of meeting room chairs within your price range. Our range conference chairs have also been quality tested to ensure it meets the necessary standards for home and office use and has a recommended usage time of up to eight hours. 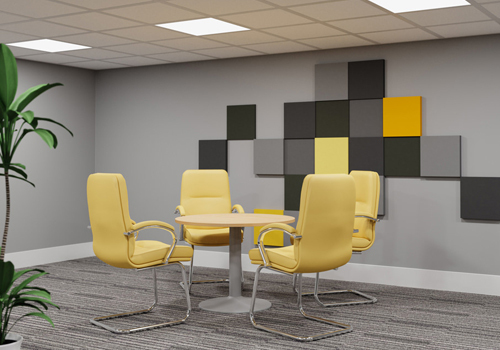 If you’d like to find out more about our range of Meeting Room Chairs or discuss your requirements, simply request a callback.